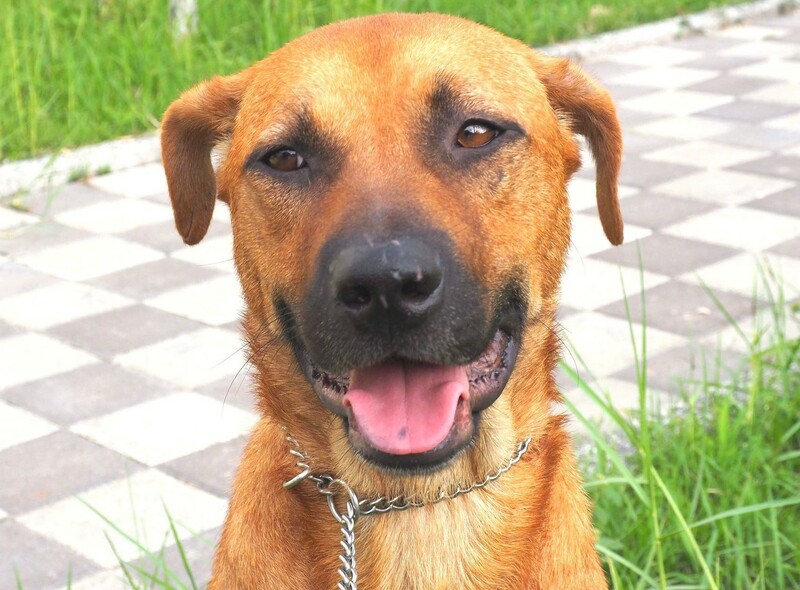 Walter came from a small island where is far away from the cities and where there is no good facilities for living. We guess Walter had an owner in the island but then was abandoned. When we found him, he looked very hungry and was super skinny that his bone can be seen. His appearance makes us feel bad for him, so we decided to take him out from the island and go to the big city even though we know the transportation is a big issue. Walter is very gentle and sometimes silly. He always behaves like a big brother, playing with other dogs. Every small dog likes to play with him. Besides, he is very affectionate, getting along well with both adults and kids. He also likes the vet and likes to go to the animal hospital, because he knows those are the people who helped him. After the detailed body check, he was found to have anemia, malnutrition, low temperature, and minor skin problems because of lack of food for a long time. With good care and hospitalization, we hope Walter can recover soon. Walter is a gentle and handsome boy. Even though he had a sad story, he is always very optimistic to his future. We love him so much, so do his foster family. We hope we can find him a good forever home. We know he will get used to the new environment easily. Walter likes to play with other dogs and cats. However, not every cat likes to play with him, so sometimes he was hit by cats when they are playing. Thus, we think it's better to find a family without cats at home. Walter is housetrained. The new family just needs to spend some time to teach him where he can do his matters, he will pick up quickly. Please consider adopt Walter. We are looking forward for a great family who are willing to offer him a forever loving home. Please open your heart and your home. If you are interested in Walter, or want to help him. Please contact us.